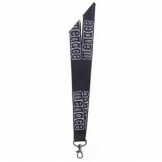 Another Custom Woven Damask Lanyard n Attachment is 1" Black Oxidized Split Ring .. 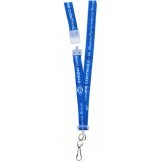 Custom Imprinted 3/4" Twill Lanyard 1,000 pack Please Select Color Price includes 1 color print D.. 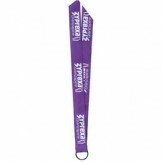 Minimum quantity for custom Lanyards 1,000 pcs. Please allow 6-8 weeks for delivery Feels Like Sat.. 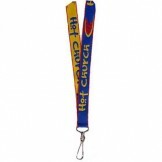 Minimum quantity for this Lanyard 100 pcs. 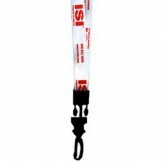 Please allow 3-4 weeks for delivery Screen printed Pri..
3 color woven Lanyard w/Plated Claw hook. Lead lime 4-5 weeks from date of artwork approval. ..